Welcome to the wheel shop, here we modify steel wheels for several applications, motorsport, drag racing, 4x4's, hotrods, custom cars, drifting etc. By Modifying the wheels we can create a wider wheel to fit wider tyres for a bigger footprint, we can also change the ET or offsets when banding for custom projects. 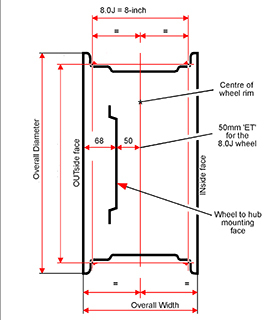 All wheels are cut in a lathe to ensure they are accurately cut, a band of steel is then rolled and placed in the wheel to create a wider, and more deep dish wheel. By putting the wheel in a lathe it also allows us to check the alignment of the band, so you get the best quality product. All welds are then dressed to produce a a smooth finish ready for paint preperation. With our equipment we are able to band wheels as small as 10 inch, to larger wheels that are 20 inches and over in diameter. We can hold in our lathe any PCD 4 or 5 Stud pattern. Band width sizes can be anywhere from 1 inch, to 12" and over, depending on how wide you would like them. Once the band is put in, they are welded on a revolving welder, and pressure tested to ensure there are no leaks.